The album reflects the world we live in so the name alarm fits like a fist on the eye. Alarm is a warning to show upcoming danger and get your attention. „The world we live in has become ridiculous and it has never been more easy to find inspiration for lyrics“ says Lars Falker. „We cannot live free and without sorrows anymore“. The lyrics are agains racism, politics, destruction, hate and force. Songwriter Martin says „it’s a sort of rebellion we like to point out our swim against the tide“. Music wise the band stays in their paths and present themselves more EBM old school then ever. 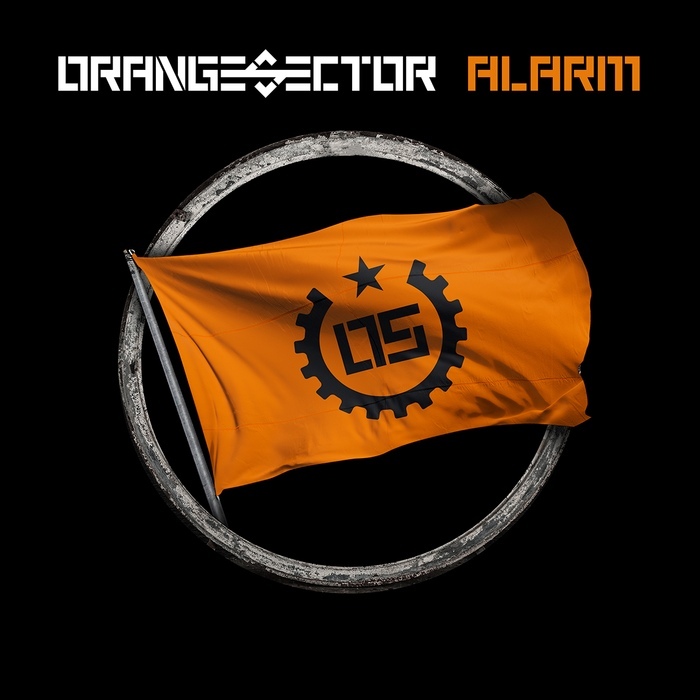 ALARM has become the most consequent and political album in the bands 27 years of history. 10 new songs are featured on ALARM which have been written and recorded in the past two years. The recording again took place at the Wellencocktail studios in Hannover/Germany. New „Sector“ member Rene did influence the production process by sending in audio sequences all the way from Berlin, especially on the club songs. Besides the club orientated songs such as Die Fahne or Peace the album hold some live smash pogo songs like Wir sind mehr, Feuer or I spit on you which will not be left out on any forthcoming Orange Sector live show. Dance and shout is Orange Sectors order!